China red or Ferrari red? or Paint the town red? Formula 1 landed (at long last) in China back in 2004. Things were very different back then: Michael Schumacher had just won his seventh world championship title (his fifth in a row for Ferrari), Fernando Alonso was a brilliant 23-year-old with just one victory and two pole positions to his name, Lewis Hamilton had just got his driving licence, and neither the hybrid engine nor Mercedes had even been dreamed of. Yet looking back at photos of that first F1 year in Shanghai, it seems only yesterday. So great was the build-up to that incredible moment that everything since has passed in a fast-forward blur. How did it all happen? The Zhuhai circuit in southern China opened in 1996 and rapidly gained international visibility by hosting international GT championship races. 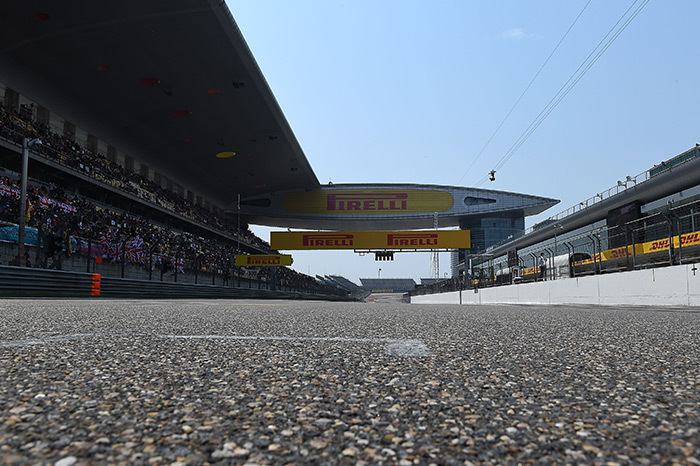 This track was the intended venue for F1’s Chinese debut until the FIA gave it the thumbs down, forcing the Beijing government to embark on a brand-new project close to the country’s other great metropolis and larger financial hub: Shanghai. So, in 2004, Formula 1 finally arrived in China with Bernie Ecclestone and the FIA’s blessing. The local authorities spared no expense in creating an ultra-modern circuit in the middle of nowhere. Herman Tilke designed another of his signature racetracks, featuring a long straight and a mix of corners, flanked by huge run-off areas that – with the passage of time – would become the norm for F1. 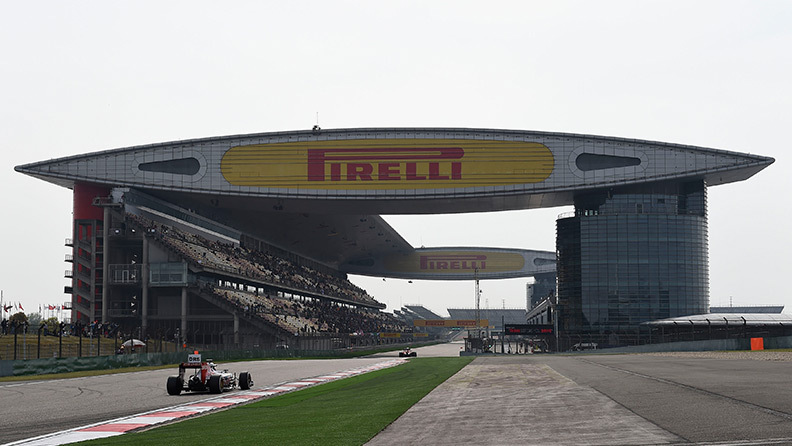 The Shanghai that hosted the great F1 debut in 2004 was characterised by red: for once not just in reference to local history and the Chinese flag, but to Ferrari. It came at the pinnacle of the Schumacher era: so dominant were the red cars that year that by the end of the season they had accumulated more than half as many points again as all the other teams in the championship put together. Every fairy-tale has a happy ending and the Prancing Horse – by then ultra-confident of an end-of-season victory – duly took the chequered flag first: although with Rubens Barrichello (who had also secured pole position) in the driving seat, leaving his team-mate Schumacher the sole satisfaction of completing the fastest race lap. What springs to mind about that first Chinese GP was the mass of people in the grandstands. Not even the extremely high prices (especially by local standards) discouraged the crowds from flocking to the circuit in cars, motorbikes, scooters, trains, coaches and bicycles – and not just from Shanghai. The global picture was one of huge success. The shops of Asia’s commercial powerhouse, by then long thrown open to capitalism, were packed with models of F1 cars, photos of the drivers, hats, posters and gadgets of all sorts. 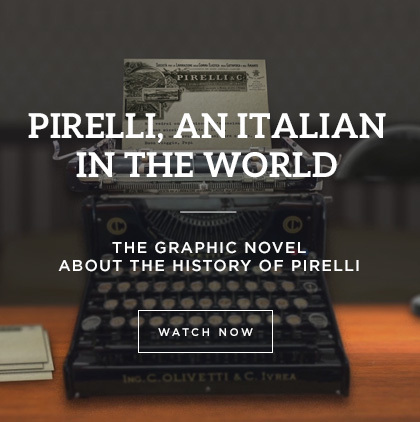 The newspapers and TV talked of nothing else and Formula 1 was certain it had found a new Promised Land… but then things quickly began to sour. The 2005 Grand Prix played a key role in Fernando Alonso and Renault’s championship wins. In 2006, Michael Schumacher won for the last time. 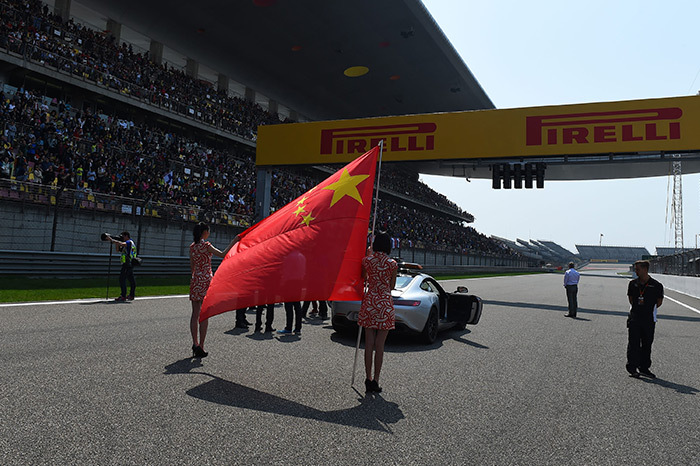 Yet none of these events could halt the Chinese public’s growing disaffection for Formula 1. The slow estrangement of those years started to pick up speed in 2010 and then the national broadcaster walked away from the (hugely expensive) TV rights. Major financial losses even prompted director Qiu Weichang to threaten to cancel in 2009. Formula 1 can’t manage without China, was the message, but maybe China can manage quite well without Formula 1? Yet in recent years, the audience has picked up again. Crisis averted. 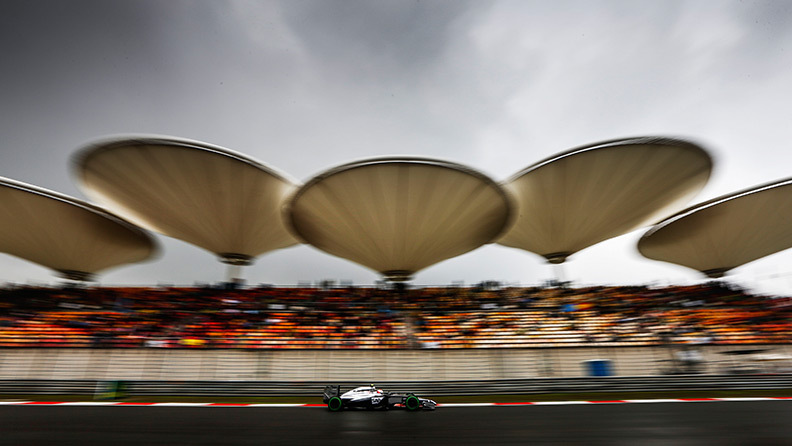 And the future of the Chinese Grand Prix received a further boost last year after a strategic partnership agreement was signed with a prominent marketing company: Lagardere Sport and Entertainment. 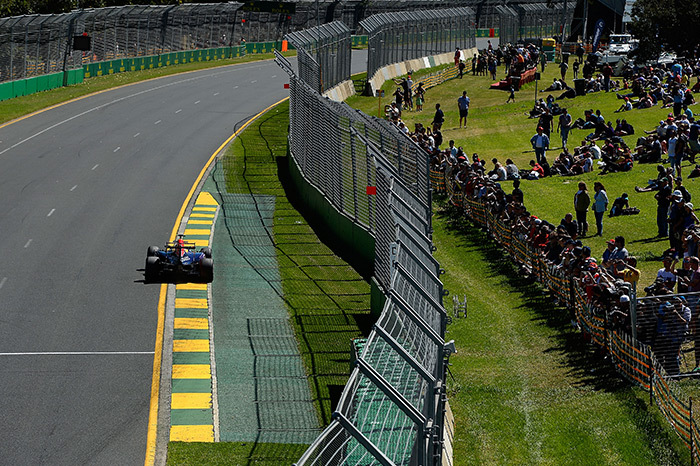 F1’s new promoters, Liberty Media, completed the deal with the aim of helping to grow the country's F1 audience by increasing the entertainment factor at the grand prix. So, if you see a surfeit of celebrities, concerts and associated sideshows in China from now on (there’s an F1 city show going on in Shanghai this week) you’ll know why. Once more, the town’s going to be painted red. But maybe this time for a different reason.